On the occasion of the 70th anniversary of the outbreak of the Warsaw Uprising, the Embassy of the United States of America joins Poland in honoring the bravery of the Polish people during those 63 days of fierce resistance to Nazi rule. The Warsaw Uprising, the largest armed operation of the resistance movements in Nazi-occupied Europe, began on August 1, 1944, and ended after 63 days of heavy fighting. Almost 18,000 Polish fighters were killed and 25,000 wounded. The civilian losses reached 180,000 and the city of Warsaw was razed by the Nazi occupiers. 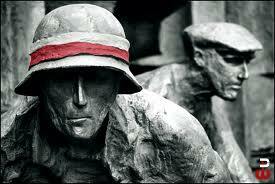 The goal of the Warsaw Uprising freedom fighters was to take back control of their own territory and political future. Although their heroic struggle ended without victory, the fighters inspired later generations to oppose oppression, and to build an independent and free Poland.